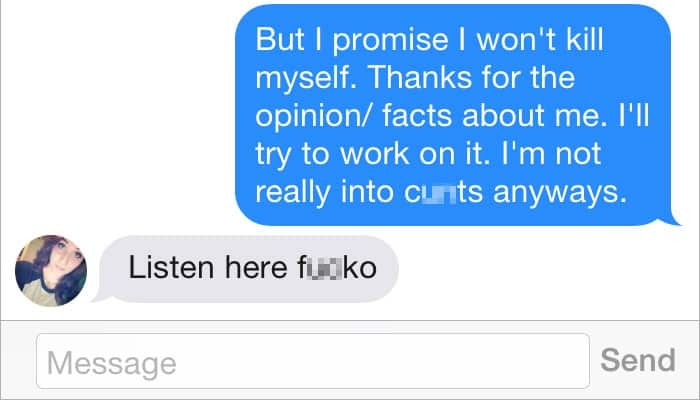 The internet is filled with tales of men harassing unlucky ladies on Tinder. Still, women are just as capable of being awful to our matches (not that that makes it ok for you to insult women who turn you down, guys). 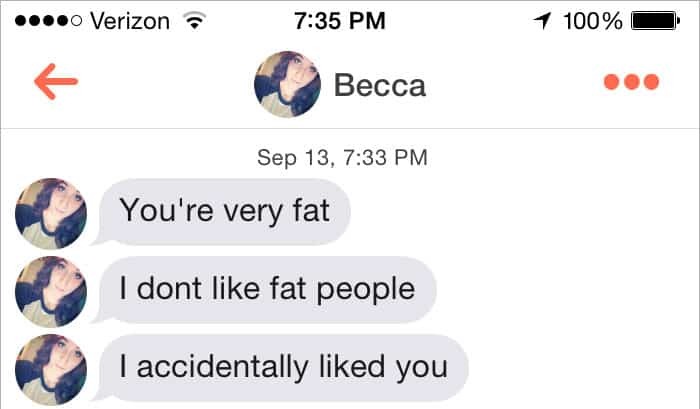 A woman who fat-shamed her Tinder match has gone viral, after he gave her the clapback to end all clapbacks. 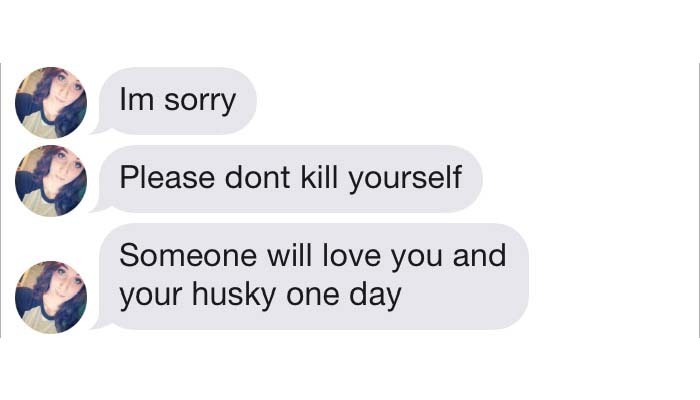 First of all, who doesn’t love huskies?! Secondly, just WOW. But instead of losing his cool like most of us would have done, her match responded with: “Wait I’m fat?! When did that happen? The girl tries to reignite the conversation with “listen here f***o,” before the message thread abruptly ends. And people on Reddit were more than ready to shut her down along with him. She may have been awful, but at least he didn’t accidentally match with his sister.